REACTOR PIONEERS — Some of those who worked on EBR-I posed in front of the sign chalked on the wall when EBR-I produced the first electricity from atomic power. Koch is front row, second from right. When I was in Idaho Falls in August 2010, one of the places I visited was the Experimental Breeder Reactor I. It’s now a publicly accessible U.S. National Historic Landmark, and has some incredible experimental X-39 atomic aircraft engines sitting out the front (see little inset photo). I’ll talk more about this visit in a later BNC post, but one thing is relevant here. That is, there is a blackboard (now preserved permanently under glass) which includes the chalked signatures of the original EBR-I research crew. One of the names on that list is a young engineer called Leonard Koch — (see photo with him standing there almost 60 years before I looked at the same board!). I am pleased that you visited EBR-I. It is pretty primitive compared to the very sophisticated plants that are being built today, but it got things started. The plane the Wright Brothers built was even more primitive but they got the airplane business started. The key is to get things started and persist. Brief bio: A retired, “Pioneer”, Leonard Koch is probably the oldest continuing supporter and participant in the development of the original concept of nuclear power. He joined Argonne National Laboratory in early 1948 and participated in the development, design, construction and early operation of EBR-l as the Associate Project Engineer. He was responsible for the development, design and construction of the EBR-ll as the Project Manager. He wrote the book, “EBR-ll”, published by the American Nuclear Soceity, which describes that activity. More here. Leonard J. Koch, winner of the 2004 Global Energy International Prize. This paper was originally presented at the Programme of International Symposium “Science and Society”, March 13, 2005, St. Petersburg, Russia, the year after his prize was awarded, in recognition of the 75th birthday of Zhores Alferov, the founder of the Global Energy International Prize. A large number of Nobel Laureates and Global Energy Laureates participated in the symposium. Energy has become a dominant, if not the dominant, field of science impacting society. In the last century, man’s use of energy increased more than it did in the entire previous history of civilization. It has resulted in the highest standard of living in history, but it has also created a global dependence on energy that may become very difficult to meet. That is the primary global energy problem. More specifically, it is the growing recognition that the increasing global demand for petroleum will exceed the supply. Science has produced many uses for petroleum, but by far the most demanding of the unique capabilities of petroleum is its use for transportation of people and goods. Science has created a very mobile global society. Petroleum has made this possible because of its unique capability to serve as an energy source and as an energy “carrier”. Excluding natural gas, which I include in a very broad definition of “petroleum”, there is no alternative to petroleum that can serve both functions. There are energy sources and there are energy carriers, but no single alternative that can satisfactorily combine both capabilities. It is generally agreed that the Earth was endowed with about two trillion barrels of oil and that about one trillion barrels have been extracted and used. Also, it is rather generally agreed that the present extraction rate of about 82 million barrels a day is at, or near, the peak rate that is achievable. Demand has been increasing and is expected to continue to increase. Although these figures would suggest that there is only a 35 year supply of petroleum remaining, of course, this is not what will happen, or what should be used for planning purposes. A long, gradual transition period will occur during which a variety of alternatives to petroleum in its various applications must be found and used. The challenge for science and technology is to endure that sufficient alternatives are acceptable, available and ready when needed. Many people and organizations are addressing this matter. They have produced a variety of predictions and conclusions. They are readily and extensively available on the internet. At best, these predictions are disturbing and describe a difficult and, perhaps, an unpleasant transition period. At worst, they predict a catastrophe and the end of life and we now know it. They generally agree that no single substitute for petroleum will be found and there is a wide disparity in the predicted acceptability of combinations of energy sources and energy carriers. Electricity and hydrogen are recognized as potential energy carriers. Electricity is well established. Hydrogen possesses superb “combustion” characteristics, but will require much more development and, will require an immense infrastructure. Its distribution will be difficult and expensive. If it is to be the eventual substitute for petroleum, a huge energy source with very long term availability will be required to produce the hydrogen. There is little agreement on energy sources that can fulfill this potential demand. Coal is environmentally unacceptable, wind and solar are unreliable, because they require ”the wind to blow or the sun to shine'” while hydro and nuclear are considered inadequate because of available resources. Nuclear energy is included in this latter category because the estimated reserves of uranium are found to be inadequate. this conclusion is scientifically incorrect! It is based on an immature technology which does not incorporate established scientific knowledge. The ‘science” of nuclear energy is very simple and very specific. a pound of uranium contains the energy equivalent to about 5,000 barrels of oil or about 200,000 gallons of gasoline. in scientific terms, one kilogram of uranium contains the energy equivalent of almost two million liters of gasoline. The United States has an inventory of more than one million tons of uranium in storage in the form of “spent fuel” from reactors, and “depleted uranium” from uranium enrichment plants. This inventory contains the energy equivalent of about ten trillion barrels of oil! The total global inventory of this material must be at least 3 or 4 times as large. These nuclear energy reserves are already mined and refined, the uranium (and thorium) still remaining in the Earth combined with the existing stockpile make this a virtually inexhaustible energy supply. Clearly, the problem is not that the global uranium reserves are inadequate; it is that the contained energy is not being extractable using today’s immature technology, only about one percent of the energy is extracted from natural uranium! The balance remains in the inventories described earlier. The scientific requirements for extracting this energy have been understood for more than 50 years. The technology for doing so has not yet been developed. Nuclear energy is produced by the fission of uranium atoms in a nuclear reactor. Natural uranium, as it occurs in the earth, is composed of two isotopes, uranium-235 which is fissionable, and uranium-238 which is not fissionable, but is “fertile” and when it absorbs a neutron it is transformed into plutonium-239 which is fissionable. Natural uranium consists of about 0.7% U-235 and about 99.3% U-238. Rhe U-238 can only be fissioned if it is first “transmuted” to Pu-239. Therefore, natural uranium can only produce energy effectively by transmuting U-238 to Pu-239. The combination of fission and transmutation occurs in any nuclear reactor in which the fuel contains U-235 and U-238 or Pu-239 and U-238. It occurs in all of the power reactors operating in the world today. In most of them, an adjustment is made in the U-235 concentration to enhance operation. The 0.7% U-235 content is “enriched” to about 3.0%. This process produces “depleted uranium” which contains about 99.8% U-238. None of the energy contained in this enormous global inventory of depleted uranium has been extracted. The current generation of nuclear power reactors convert about 1 atom of U-238 into Pu-239 for each 2 atoms of U-235 fissioned. Some of the Pu-239 atoms are fissioned in situ. Therefore, a very small amount of the energy contained in the U-238 is extracted in today’s nuclear power plants. Virtually all of it remains in the spent fuel. The net result of these operations is that about one percent of the energy contained in the original natural uranium energy source has been extracted. The remaining 99% is contained in the spent fuel and depleted uranium. Virtually all of this energy is contained in U-238 which must be converted to Pu-239 to extract it. This can be accomplished most efficiently in fast reactors fueled with Pu-239 and U-238. In this system, about 3 atoms of U-238 are converted to Pu-239 for each 2 atoms of Pu-239 fissioned. Because these machines can produce more plutonium than they consume, they are called “breeders”. The current conventional reactors which are about one third as efficient are called “converters”. From the very early days of the nuclear age, it was predicted that the energy contained in uranium could be extracted by recycling nuclear fuel in fast reactors. It was recognized also that this could only be accomplished if the following questions were answered favorably. Would the neutronics produce a “breeder” type performance? Could energy be extracted usefully and acceptably from large fast neutron power reactors? Could nuclear fuel be recycled through such reactors in the manner required to extract the energy? The first two questions have been answered. The plutonium – uranium fuel system in fast reactors will permit energy to be extracted from U-238. It has been shown that large fast power reactors can indeed produce useable energy. This has been done, probably most convincingly, in Russia at the BN-600 power station. In addition, work in other countries corroborate that fast power reactors can be used to produce electricity and for other uses. The third question has not been answered adequately. Nuclear fuel has not been recycled to the extent necessary to demonstrate the capability to extract a significant fraction of the energy contained in uranium! This is the remaining challenge for science and technology. I was deeply involved in a very early attempt to advance this technology. It evolved into the EBR-ll project; the Experimental Breeder Reactor No. 2., developed by Argonne National Laboratory in the United States. It was developed to demonstrate, on a small scale, the feasibility of power generation, but much more importantly, to advance fuel recycle technology. 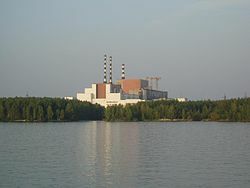 It was a relatively small plant, generating only 20,000 kilowatts of electricity, but it incorporated a complete “fuel cycle facility” interconnected to the nuclear reactor plant. Although fast reactor power plant projects were proceeding in the United States and other countries, none of them incorporated provisions for direct on-site fuel recycle. Therefore, the EBR-II experience is unique and important. The fuel selected for the first phase of operation was an enriched uranium metal alloy which was actually established by the fuel refining process which had been selected. Neither plutonium, nor plutonium-uranium technology, were available at the time (the 1950’s). A relatively simple and imperfect fuel processing system was selected to provide a “starting point” for the development of this technology, with recognition that much additional technology development would be required. The uranium metal fuel was to be processed by melt refining which removed fission products from molten uranium by volatilization and oxidation. This process provided adequate purification for fast reactor fuel recycle, even though all of the fission products were not removed. It was estimated that at nominal equilibrium conditions, after several fuel cycles, this process would produce an alloy consisting of about 95% uranium and 5% fission products (about 2.5% molybdenum and 2% ruthenium plus a small amount of “others”). This alloy was named “fissium” and it was decided to create this alloy for the initial fuel loading to avoid a constantly changing fuel composition with each fuel recycle. It was not expected that this first phase of operation would demonstrate a true breeder fuel recycle. That was planned for the next phase. Simultaneously, some very preliminary laboratory-scale experiments indicated that electrorefining of plutonium-uranium metallic alloys might prove to be suitable for recycle of this fuel in fast power reactors. As a result, the EBR-II program plan was to operate initially on an enriched uranium fuel cycle and shift to a plutonium-uranium fuel cycle later when the technology for that fuel cycle was developed. It was thought that valuable power reactor fuel recycle experience could be obtained during the first phase even though it was not a true breeder fuel cycle. Only the first phase was accomplished, and only on a limited scale. Five total reactor core loadings were recycled through the reactor. About 35,000 individual fuel elements were reprocessed, fabricated and assembled into almost 400 fuel subassemblies. An administrative decision was made that the United States nuclear power program would concentrate on oxide nuclear fuel for all power reactors, including fast reactors. The EBR-II fuel recycle program, based on metal fuel, was terminated. Reactor operation was continued for more than 20 years, but the fuel was not recycled. The reactor continued operation as a “fissium-fueled”, base load, electrical generating station and a fast neutron irradiation facility. 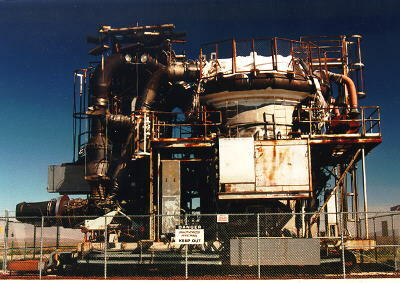 The fuel cycle facility was used for examination of irradiated fuel and other materials. Even though this program was interrupted, it produced and demonstrated some very useful technology that will be applicable to future recycle systems and provides an overall perspective of nuclear fuel recycle requirements. It includes the performance of highly complex operations in a very strong radiation field and the removal of fission product decay heat during fuel fabrication and assembly operations. Even though future systems may be less demanding, this technology and experience will be invaluable. Each future recycle system will create unique requirements related specifically to the fuel, the fuel form and the design of the individual fuel elements. They will include removing the spent fuel from its container; (most probably a cylindrical tube), reprocessing the fuel and installing it in a new container. It is this part of the total fuel recycle process that requires much development and demonstration. There are a variety of potential fuels and fuel forms and a variety of potential purification and fabrication processes which will produce a variety of fuel recycle characteristics and requirements . The composition of the fuel will change during recycle and an equilibrium, or near equilibrium, composition will eventually result. This scenario has not been produced for any of the potential fuel systems, nor will it be, until the required operational experience has been obtained. Global attention is needed because this will be a very slow, long-term undertaking. There are no quick fixes! A fuel cycle will probably take about three years, and several cycles will be required to establish a reasonable demonstration of the total performance of a specific recycle process. There will be, almost certainly, more than one total fuel recycle system to pursue; possibly several. Each will be unique and produce its own results and create its own requirements. I have proposed that the United States initiate a program to begin the process by constructing a “fuel recycle reactor” (FRR) designed specifically to provide a facility in which these fuels can be recycled. I do not believe that a single facility of this kind can begin to do the job that is necessary to establish this badly needed technology. I know that it is presumptuous of me to suggest what other countries should do; but, I propose that a vigorous international effort be undertaken to develop and establish the technology required to recycle nuclear fuel in fast power reactors and thus make it possible for the world to use the tremendous capability which exists in the global resources of nuclear fuel. This is a timely international challenge. I note that Japan is considering the restart of their Monju fast reactor and are exploring international participation ¡n fuel cycle technology. I note also that India is proceeding with their first fast power reactor with a capacity of 500 megawatts and plans to build three more by 2020. I find this to be a very interesting development; India has maintained a continuing technical interest in fast reactors since the very early days of nuclear power. I expect this program will bring a new perspective to nuclear power and fuel recycle. India has a strong interest in the U-233 thorium cycle because of their large indigenous supply of thorium. Th-232, which is not fissionable, is similar to U-238; when it absorbs a neutron, it is transformed into fissionable U-233. This process also can be best accomplished in fast reactors and requires fuel recycle. Therefore, fuel recycle technology also must be developed to extract this source of energy. The vast global thorium reserves should be included in estimates of total global nuclear energy capability. On a longer range basis, the magnitude of the demand for energy sources will eventually become dominant. In addition to providing an alternative to dwindling petroleum resources, there will be the need to provide for the continuing growth in demand for energy to satisfy the needs of increasing global population and their standard of living. For nuclear energy to contribute significantly to satisfying this enormous potential demand, it will be necessary to not only develop the technology, but to make it acceptable! History has established a relationship between nuclear energy and nuclear weapons that is not clearly defined or well understood. Nuclear weapons are produced from fissionable materials, but recycled power reactor fuel is not a suitable source for that material. Even the spent fuel after only one fuel cycle in current generation power reactors is unsuitable for weapons use. After multiple recycles, the fuel is essentially useless for weapons. It will be necessary to demonstrate that nuclear energy on the vast scale I have suggested will not result in unacceptable nuclear waste. Efficient fuel recycle has the potential capability of virtually eliminating this requirement. The primary problem presented by the long term storage of spent fuel is the long half-life of the actinides produced in the spent fuel. They can be destroyed by fission. A complete nuclear fuel recycle process will destroy these actinides and produce energy from those that fission. At equilibrium, all of the necessary processes will be operating simultaneously. Pu-239 will be fissioning, the higher isotopes of plutonium will be fissioning, or absorbing neutrons and transmuting into isotopes that fission and are destroyed. The ideal fuel cycle will recycle all of the uranium, the plutonium isotopes and the other actinides and remove only fission products during each fuel cycle. The nuclear waste will consist primarily of fission products which will be far easier to store and virtually all of the energy will have been extracted from the original energy source, natural uranium. A similar scenario can be developed for thorium. The science is firmly established. The technology is needed. The incentive to do so is enormous. It is to provide an inexhaustible supply of energy for the foreseeable future and beyond. A long, gradual transition period will occur during which a variety of alternatives to petroleum in its various applications must be found and used. Or not so long, if the Joint Forces Command report is correct and we’ll be down 10mbd in just 5 years. At best, these predictions are disturbing and describe a difficult and, perhaps, an unpleasant transition period. At worst, they predict a catastrophe and the end of life and we now know it. If JFC are correct, I think I may just have more agreement with Michael Lardelli than disagreement. But us poor Aussies wouldn’t know about any of this. ABARE are relying on ‘the marketplace’ to tell them when to do their job and warn the government that we might be running out of oil! The government has sanctioned construction of four more 500 MW fast reactors, of which two will be housed inside the existing nuclear island at Kalpakkam, and are expected to be ready by 2020. 1. What are the chances of this effort rapidly being scaled up? 2. The $2500/Kwe is substantially higher than the PHWR’s in India. Is this FOAK cost? 3. What are the chances of say… the USG selling all IFR information to India? 1. Very high. India’s stated goal is 63 GW of nuclear by 2032 and 500 GW by 2060, built on the back of uranium fast reactors and later thorium-cycle technologies. 3. Possible but unlikely at present, given that they haven’t ratified the NPT and the US is still leery of any technology with the word ‘reprocessing’ or ‘recycle’ in it, witness this. Although it could occur under their 123 agreement it is more likely with a country like Russia (of Japan or Korea). I was only vaguely aware of the EBR program so this post is greatly appreciated. It is a sad commentary on mankind that we are more interested in the exploits of Lindsay Lohan than folks like Leonard Koch and Frederick P. Brooks. Th-232, which is not fissionable, is similar to U-238; when it absorbs a neutron, it is transformed into fissionable U-233. This process also can be best accomplished in fast reactors and requires fuel recycle. As I understand it, thorium is best transformed to fissile material using thermal reactors, not fast reactors. 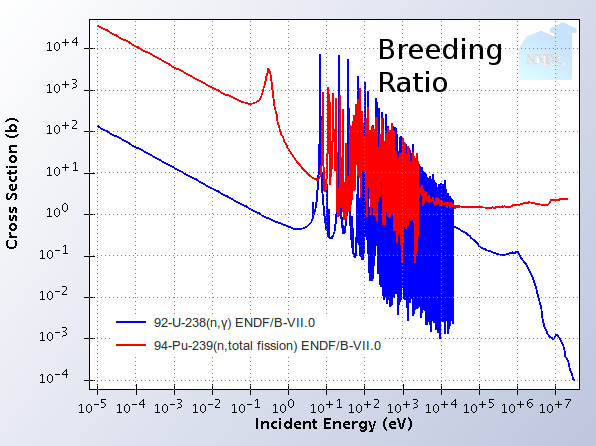 donb, you can breed U-233 successfully from Th-232 via a fast reactor. An issue is avoiding build up of U-234 in a solid fuel. The Indians have been irradiating ThO2 in in their FBTR. The 500 MWe prototype FBR under construction in Kalpakkam in India, mentioned in a comment above, is designed to breed U-233 from thorium. The question of which is ‘best’ for thorium — epithermal or fast reactors — is, I guess, a judgement call, and Len never expected everyone to agree with him! My original concern over fast reactors remains, that is that the initial ‘start-up charges’ and the reprocessing of PWR spent fuel will make the technology prohibitively expensive. Are my fears unfounded? I would love to be proven wrong. Perhaps there is an article on this topic that I’ve missed on BNC. is the surplus plutonium produced in the Indian fast reactor discussed on Barry’s Twitter page, the plutonium produced from the mixed oxide fuel, unsuitable, as other nuke power fuel, for weapons also? I’m curious if Len thinks Tom Blees’ view that that IFRs could be rolled out by 2015 was overly optimistic given the work needed on the pyroprocess? The Indians plan to breed both plutonium and U-233 in their fast breeders. Surplus plutonium will go to new FBRs, while U-233 will go to AHWR 1 to 1 converters. The Indians plan to build something like 160 GWs of FBRs by 2060, with maybe 250 GWs of AHWRs. Thermal breeding reactors have a huge advantage in the amount of U-233 required for a start charge – as little as 400 kgs of U-233 per 1000 MWe, according to David LeBlanc. In contrast, FBRs can require 10,000 kgs per 1000 MWe. Starting a MSR with RGP might take 1000 kgs of RGP. What a great speech! Thank you for going to the effort of transcribing this from paper to digital. I take a lot from this. Firstly, I wonder where we would be now if the technology development hadn’t been blocked for effectively half a century; blocked by the same sort of anti-nuclear policies and administrative interventions as continue to this day! This scenario has not been produced for any of the potential fuel systems, nor will it be, until the required operational experience has been obtained. Global attention is needed because this will be a very slow, long-term undertaking. There are no quick fixes! A fuel cycle will probably take about three years, and several cycles will be required to establish a reasonable demonstration of the total performance of a specific recycle process. There will be, almost certainly, more than one total fuel recycle system to pursue; possibly several. Each will be unique and produce its own results and create its own requirements. This provides perspecitve of time frames involved. As Ziggy Switkowski has repeatedly stated, the time frame to commercially viable Gen IV is somewhere beyond 2030. I am convinced that Australia’s effort should focus on least-cost, currently available nuclear technology. We cannot lead the world when we have next to no experience. I agree the world should pursue development of Gen IV and we should point out that it is the future and the answer to those who argue about uranium shortages centuries from now, but Australia can only play a minor role in Gen IV development – at least until we have our own nuclear industry up and running. Which brings us back to what we should be trying to do now. We either make the effort now to convince the public, politicians and at least one environmental NGO to back nuclear, or we delay action by arguing for another long term delaying tactic – carbon taxes or ETS. That is the reality we are faced with, IMHO! By 1 to 1 AHWR do you mean the breeding ratio was 1 to 1? Just following up from my recent email about your RSS feed being published to Before It’s News. We would be honored if we could republish your blog RSS feed in our Environment category. Our readers need to read what Brave New Climate has to say. Machiavelli was a pretty sharp dude !!! Why no nuclear renaissance in US/Europe? 1.the fin. crisis since 2007 has curbed investor appertte for risk. 5. public attitudes to NPPs remain ambiguous. “Nobody has ever built an NPP in a liberalised electricity market…there inevitably has to be some level of government support and encouragement..” says one of the interviewees. I agree in principle. But it is also important to choose wisely where to put our effort. Austrlia has made many important contributions, especially in the fields of medicine, mining and agriculture and others. We’ve led the world in many advances in these areas. Other small economies have done similarly: Sweden, Finland, South Africa come to mind. But all focus on something where they have a unique advantage to start with. Gen IV nuclear is not an Australian advantage at this stage. Nor is Gen II or Gen III. We have none. For Australia to start spending money on Gen IV before we have any Gen II or Gen III, would be a waste of our limited resources, I believe. 1. Determining how we could get low-cost nuclear in Australia. Much of this would relate to what is needed for regulation, site selection, and how to get around NIMBYism, as opposed to nuclear enginering research. 2. Educating Australian engineers and others disciplines so they can play a role in the design construction and operation of plants in Australia. That is where I feel our research resources should be applied in Australia at this stage of the hopeful birth of nuclear energy in Australia. I think Crooks is right; and I’m singularly unconvinced by the “manhattan project”/”war footing metaphor for combatting climate change. and if you believe AGW is fake, why not go natural gas, if you are a U.S. citizen? Nuclear is the only technology right now that can really handle the AGW/adequate energy problem. But the problem isn’t primarily technological. 1)	Economic collapse of the USA (so don’t look to them for a long and well-funded developmental program for NPPs). 2) The lack of any ability to invest in a NPP rollout. The fascinating thing for me about watching the world economy evolve is how, if you take step back and look at it from a scientific point of view, it is behaving just like a system that has become starved of energy. After all, it IS energy that drives the world economy, not money. As Foss explains, the financial crisis (which is a credit crisis) is due to the existence of multiple credit claims on underlying real, physical wealth (i.e. the perceived value of an asset by credit givers is far greater than the real value of the asset in the marketplace) and it is now slowly becoming obvious to the creditors that they are not going to be getting their money back. In essence the world financial system is a structure (a Ponzi scheme) with an external “appearance” of health but which has been hollowed out internally and is in the process of collapsing. The timeframe most commonly mentioned for the effects to become really serious is within about 5 years. Forget long-term well funded research programs to sort out the intricacies of IFRs and forget crash-programs of NPP construction worldwide – they are just not going to happen because the finance (and, the energy that supports the value of money) will simply not be around for the timeframe required. I will read these links with care. how do you think a country with great resources like China, that is also somewhat potentially shielded (?) from the financial instabilities will behave? Some years ago, a friend of mine got hooked on the whole Peak Oil vibe, and joined a PE discussion group which met at the pub in town. They took themselves seriously enough to incorperate as a not-for-profit group. I never attended any of their meetings, although I did chance to witness one from a distance one evening. From what I could gather of my friend’s ideas at the time, he was pretty much down on the notion that there was any way out of the gathering PE crisis. This caused me to wonder what the hell they actually did at those meetings. Depress each other about how bad things were and cry into their beer? Michael Lardelli’s comment above merely reinforces these suspicions. I guess the question is, what if the market can’t solve the problem? and what if the alternative of state led development is compromised by resource wars between states? or insufficient sharing of resources and technologies? I myself don’t come to this site for answers to this question (though I wish I could). but that doesn’t mean they aren’t real questions. just looking at the technology, free of phobias, nuclear is the way to go. and even if you were not convinced of that, in a rational world where we did what needed to be done, we’d run demonstration projects to answer the questions around nukes and renewables. as is, the renewables people are telling impressive just-so stories to maintain the plausibility of what will almost surely turn out to be a hoax. and the pro nuke people really don’t have an answer to the social/political barriers to the safe, fast, global production of reliable nuclear power. FInrod: “Peak oil vibe” carries as much weight “gen four vibe.” both positions can be made fun of for rhetorical effect. Just because Michael Lardelli’s views are extremely depressing, it doesn’t necessarily mean that they are implausible. I still think our last best hope of avoiding the fate he predicts is rapid nuclear rollout. There is little sign of this happening in democracies with liberalised energy markets for reasons that have been already been well explained in this site by others. It might be worth your while to read Martenson’s Crash Course if you haven’t already. I would value a critiqueof it from you because I need cheering up! I don’t think there is immediate cause for despair, although things may ceratinly have to get worse before the nuclear power bulid-out gets proper priority. One aspect of my optimism, ironically, is the age of existing reactors. These facilities were built under a more limited infrastructure and lesser (although still impressive) industrial capability. Even if times get significantly worse, it is still possible to build nuclear power plants. Peter Lalor @15 Sep 16:16, I’d add a sixth point to that list : there is a large existing baseload generation capability in Europe and the US. The electrical infrastructure is coasting on that historical investment and does not see the value of adding to it at present, and will not until there is a serious termination schedule for fossil-fueled plants. The first part of your assertion about IFR (and other) nuclear R&D is just nonsense. Just 2 percent of the annual US “defence” budget would get things going in a big way. It’s a question of priorities, not availability of funds for what is, in the grand scheme of things, really quite a small investment. It is a political issue. The issue of nuclear build out is also more complex than you portray. Developing countries and particularly Asia faced with the imperative of meeting rising electricity demand WILL increase nuclear build as the most cost effective way of meeting that demand and the most secure way of ensuring future energy supply. The US and Western Europe may or may not sit around navel gazing. The Hirsch report recommends as much for solving peak oil. If we manage this right, we could solve peak oil, climate change, air-pollution, city transport issues & gridlock, suburban alienation and many other issues in one hit. But if we don’t adopt an integrated package of nuclear power, New Urbanism, and “Industrial ecosystems” (or waste = food “Cradle to Cradle” design systems) then solving peak oil could make climate change worse, or trying to solve climate change with the wrong carbon taxes or financial ‘stimulus’ at the wrong time could make the economic challenges of solving peak oil worse. We can solve them together, or they can exacerbate each other. In essence the world financial system is a structure (a Ponzi scheme) with an external “appearance” of health but which has been hollowed out internally and is in the process of collapsing. The timeframe most commonly mentioned for the effects to become really serious is within about 5 years. I just love how non-economist peakniks rush in and stomp all over someone else’s discipline. There are certain myths circulating the peak oil world about the ‘exponential money creation myth’ that simply do not understand the money creation system, and Martenson is one of them. He does not analyse the other side of the question: how the interest rates can be raised to destroy money exponentially! The tools already exist to fix this. The power to create money is also the power to destroy it. I know this sounds counter to everything you ‘believe’ due to your years in peak oil, but money is neutral to an economy. It is a tool. As a tool, it can be used incorrectly. Countries can create more money or conversely restrict the flow of money at either the right times or the wrong times. Before long, the non-economists are jumping up and down blaming the tool as ‘bad’ or ‘broken’ because they don’t know how it is meant to be used. I’m sorry you don’t dig the vibe. Indeed. That’s not really what I was getting at. For all I know, his position may be absolutely spot on, and all is lost. In which case, none of this matters. Including his efforts to inform us of this. Groan! Oh all right, I’ll read the bloody thing sometime today. I’m not really qualified in that sort of thing, but I’ll do my best. Come to think of it, I’m not really qualified to comment on anything, but I haven’t let that stop me before. While I respect Michael Lardelli’s questions, and the URGENCY of peak oil, there’s something about his assertion that nukes won’t happen ‘because’ of our financial system that smacks of faith-based reasoning. This next piece is from my blog post, “Dark Mountain Bulverises”. It comes from years of frustration of trying to work with peak oilers that not only accept the seriousness of peak oil, but then go further and use it as an excuse to condemn everything about our society. Enjoy. (The first quote is from a piece on “Dark Mountain” which seems to celebrate the coming peak oil ‘judgement day’ on society, and is the particular article I’m responding to with more general comments on the whole doomer movement). I wouldn’t be at all surprised to see the end of the American republic in any meaningful sense in my lifetime, and I wouldn’t be surprised either to see its slide to the hard right continue until it becomes something very nasty indeed. I have found over the years that if Doomers don’t have a concrete, bullet-proof technical objection to a positive technology, they just fall back onto a political objection. “Oh, they’ll never do that because….” (insert pessimistic scenario here). They’ll just assume something as massive as us never adopting nuclear power because people would rather starve to death in the cold! Debating doomers is like grasping smoke. You posit something real and concrete and possible, and if they can’t disprove it outright, they waft around it. After 6 years of this it becomes both predictable and boring. But this strategy can go dreadfully wrong for the doomers. Back in 2004 on the doomer email list ROEOZ I was assured that Australian politicians would NEVER discuss overpopulation. “Oh, they’ll never do that because….” (there is too much money in real estate development, they can’t touch that issue, the Christian right will never let them get away with it, yadda yadda yadda). But here we are in the 2010 election and overpopulation featured as an ELECTION DEBATE TOPIC! “Oh, they’ll never do that because….” Whoops. They did do that. They discussed it! For the first time in our history, sustainable population is close to becoming a government discussion and eventually a policy! Even if it is only Julia Gillard trying to differentiate her political ‘brand’ from Kevin Rudd, it is still a milestone. In one of the blandest elections Australia has ever had, the “P” word got a mention! That is a miracle in itself. None of these positive trends matter to the hardened Doomer. I can admit the negative trends they talk about. Indeed, it is why I started this blog. We really COULD nuke ourselves back to the Stone Age fighting over the last drop of oil. I’m not saying catastrophe is impossible. Real oil wars and climate disasters and terrible floods and scorching droughts and new disease vectors are all possible. When I consider the possible risks ahead, I shudder. This stuff is for real! I get it! But are all these scenarios inevitable? All of them? Really? There are ways to fight these trends. They have given up the fight, and become cynical Apocalyptic Outsiders waiting for a greenie, peak oil judgement day to sweep aside today’s civilisation and force us into behaving ourselves! I say rubbish! Get out there and do something positive, because the fight to save the best things about our civilisation AND our environment are both worth battles. If we give up totally on today’s civilisation, the consequences for young people especially can be terrible. the Martenson course is interesting and worthwhile, as long as you don’t stop there. There are 3 hours of video to digest. Download the free DVD, burn it to disc, and watch it in the comfort of your lounge. But don’t stop there. Martenson is not the final word on the economic system. There are ways to reform financial policy so that money creation is more ‘neutral’. I talk to economists who are well aware of the Martenson vibe, but basically laugh a bit at some of his conclusions. A bit of tinkering here and reform there, and we have the tools to fix Martenson (and friend’s) concerns with money. Most of the denizens of this blog are optimists. We need people like Michael Lardelli to nail our feet to the floor. I am sorry to see him go. Yet I can’t find anything he says that rings true. Ummmmmmmmmmmm, oil is about to peak and decline, and we’re not ready, and this will stuff our economy*? (Michael would say ‘civilisation’, but that’s where he and I disagree). How about having another read of my article. You make a great case for the diminishing amount of oil available. Demand is increasing while supply is stagnating, so prices will continue to increase. While this is bad news for established energy technologies it is good news for emerging ones. And now for something completely different. Have you guys read about the latest brainwave emanating out of Queensland ? (I am almost embarrassed to admit I live there) We are , that is Origin Energy and the State govt as cheer squad , are going to build an enormous dam in PNG somewhere, and import the electricity back to Australia. I can just imagine the (justifiable in this case) howls of protest from the Greenies. Also the Sovereign Risk involved would be indigestable to any investor with an ounce of common sense. We could of course de-mothball the Mary Kathleen uranium mine , and build some nuke plants but that of course , is…….sigh.!!!! PS : Sovereign Risk is in my view why DeserTec will never get off the ground..
Uncle Pete there is a display in southern Tasmania (Strathgordon visitors centre) of how abundant hydro power will be sent to mainland Australia via an underwater cable. That was the theory anyway. According to Sen. Milne last summer Tasmania actually imported 48% of its electrical energy from Victorian brown coal generators. That was physically impossible before 2006. It seems the practice that emerged was to get high spot prices for peaking hydro power (dollars not cents per kwh) and to re-import cheap coal power to run the zinc and aluminium smelters. Thus if this new underwater cable gets built it could turn out that that the PNGians toast their marshmallows on Queensland coal fired electricity. Either the cable should be one way only or together Australia and PNG should be subject to a joint CO2 cap. I’d also question if PNG is that stable politically. With Euro Desertec I think the Moroccan govt cooled on the idea possibly because of tensions it would create. As in ‘get your own renewable energy’ which I expect is how the PNGians would think. Also who gets the carbon credits, RECs and feed-in tariffs? Large hydro in Australia is currently ineligible for RECs because it was built before 1997. At the end, what does it make fast reactor so difficult (or more difficult) to control? Has it something to do with delayed neutrons (fraction or emission time of them) ? posted 16 September 2010 at 8:37 PM by Alex P.
posted 16 September 2010 at 9:55 PM by Barry Brook in reply to Alex P.